mFi-MPW is end of life (EOL) with no replacement. mFi™ is a Machine-to-Machine management system from Ubiquiti Networks. mFi hardware is managed and monitored from the mFi Controller software. The mFi Controller allows you to create rules that trigger actions based on data from your mFi sensors. For example, motion detection can turn a light on, or a high temperature reading can trigger a fan. The mFi platform is compatible with third-party devices, making the options unlimited! 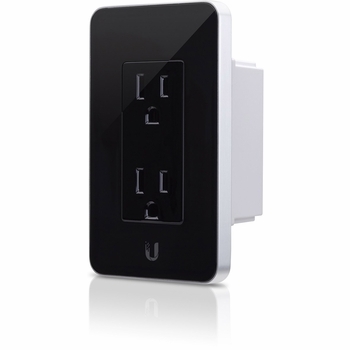 There are two in-wall devices available for mFi management. The mFi Outlet is a standard in-wall dual electrical outlet with Wi-Fi that features energy monitoring and can be independently controlled by an mFi Controller.